The Spanish edition of the CenteringPregnancy notebook is an integral part of your patients’ experience. The companion to your Facilitator's Guide, the notebook was designed with each chapter corresponding to a group session with conversation starters, space to track important health information, set goals and note questions, and additional content to reinforce your group discussions. Nutrition, common discomforts, stress management, labor & delivery, breastfeeding, and infant care are all addressed in an easy-to-read format. The notebook helps patients to be more aware of their progress throughout their pregnancy and what it means to their health and their baby’s health. You must have a login for a Centering Practice Site to complete a purchase. Please log in or take a Readiness Assessment. 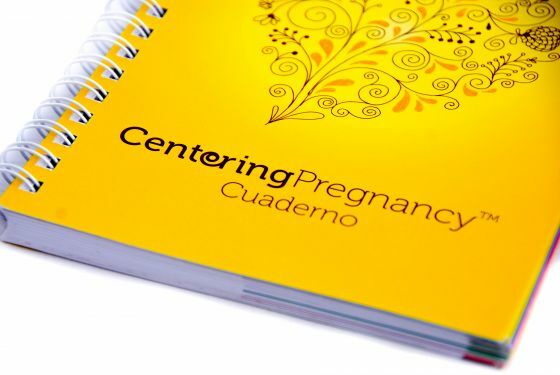 Please confirm you are ordering the Sale Edition of the CenteringPregnancy® Notebook in Spanish (PRODUCT SKU: PROD000101). CHI does not accept product returns!